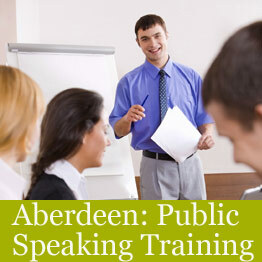 A one day Aberdeen public speaking training course in the city centre. 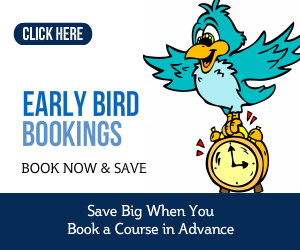 This busy and energetic course is your chance to acquire the skills you need for all your business or professional speeches. The Aberdeen public speaking training course will help you learn the essentials of giving a good speech. Boost your confidence as you develop your public speaking skills. 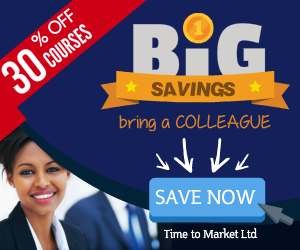 The course is highly interactive and involves you practising each public speaking learning point as you progress throughout the day. Your training starts at 0900 and finishes at 1700; it's a full day involving a series of training exercises and public speaking expertise. You can find out more about the public speaking skills you can expect to learn on this course.